Maybelline Lip Gradation Red 1 - Good Buy? Home ReviewsBeauty Maybelline Lip Gradation Red 1 – Good Buy? Who is it for? Maybelline Lip Gradation Red 1 is a beautiful deep red creamy matte finish lip crayon for people who love to wear red. Maybelline lip Gradation lip crayon comes in a sleek long packaging in the color of the shade. It comes with a smudger at the bottom to make ombre lips. To use the product, you have to twist the bottom part to make the crayon come out. It is a deep hot red color. It’s a beautiful red shade which looks beautiful on most skin types. Maybelline lip Gradation lip crayon has a smooth creamy texture, it is easy to apply. It glides over your lips like a butter. Pigmentation is quite good, the shade Red1 is very pigmented. The color is visible in only one swipe. Stays for about 7-8 hours approximately. After having your meal, a hint of red is only visible on your lips. The Maybelline lip Gradation lip crayon in Red1 is a deep red, not a maroon but a red shade. The price is quite high when I first got the product, but after using the product, I can say it is worth of it because it is long lasting, good pigmentation and also the color is gorgeous. The shade will go with fair, medium and dark skin tone people. It is such a beautiful universal shade. My mom loves this shade, she doesn’t wear makeup but in some special functions, if she wants the lip color, she always goes with this beautiful Red1 shade. The shade is suitable for daytime parties, night parties, date or marriage functions. Sometimes it becomes patchy on lips. Would I recommend/ repurchase it? I would recommend this beautiful shade to all the people who are looking for a deep hot red in their wardrobe. 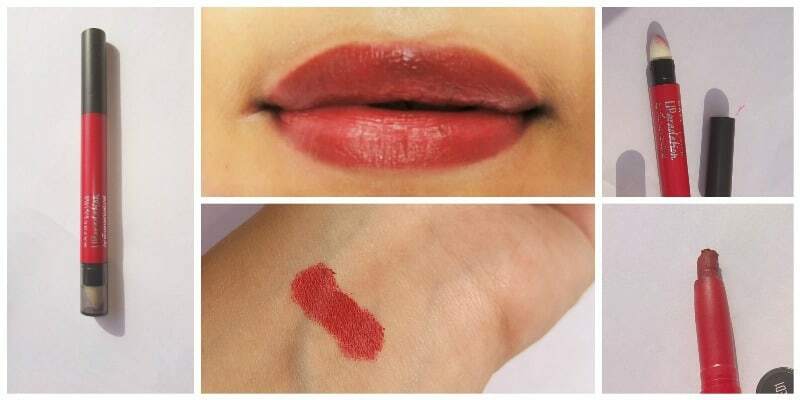 The red shade is deep creamy texture, comfortable to wear, stays for long. I would not really repurchase this shade, Because I am a huge lipstick fan and I love to experiment different shades rather than purchasing the same shade again. More Maybelline Lip Gradation ? Maybelline Lip Gradation Red 2 – HOT ?! Maybelline lipgradation range is bae!! Long lasting and pigmented…… they are worth the price.